It's no secret, we love coming up with new recipes for play, and dough is high on our list of favorites! Dough is so versatile. You can truly create any texture, color, scent, and sensory experience you want. There are so many materials for creating doughs, and most of the dough bases are common household materials ranging from flour, cornstarch, and baking soda to oils, food coloring, and salt. Of course those are just the basics! Here are over 50 awesome dough recipes for kids. Cloud Dough - Cloud is one of the best two ingredients play recipes out there. It takes seconds to make, and it lasts forever. Seriously. We've had a batch of cloud dough for nine months before. The only reason we ever get rid of cloud dough is when too much gets spilled or if something gets mixed with the dough. I have two year old twins. It happens. Two Ingredient Multisensory Cloud Dough - Make this two ingredient dough recipe scented and colored by using specialty oils. Gluten Free Cloud Dough from Blog Me Mom - This is a great option for those who have a gluten intolerance. Cloud Dough Heart Cakes - Add a few themed props, and you have a cloud dough sensory bin perfect for the season. Scented Cloud Dough - You know we love scented play. It's easier than you might think to add delicious scents and colors to the base recipe for cloud dough. Beach Sand Cloud Dough from Fun at Home with Kids - Cloud dough with real sand! This summer fun play recipe is on my list to try with my boys this year. Day and Night Sensory Bins - A bin of cloud dough represents day time, and you'll never guess what we used for our night time bin. How to Color Cloud Dough from Powerful Mothering - I love the secret ingredient Powerful Mothering discovered to add color to cloud dough. I had a, "Hey why didn't I think of that?" moment when I read her post. Candy Cane Cloud Dough - We were a bit obsessed with candy can themed play last Christmas, and this peppermint cloud dough was made from an old batch of cloud dough. I just added a special ingredient to make it red and peppermint scented. So easy! Coconut Cloud Dough from The Imagination Tree - Mm coconut cloud dough. I bet it is super smooth and silky. Edible Dough - We officially no longer have babies in our house, but for a long while we needed to make baby and toddler safe doughs and play recipes to ensure that our little ones were safe during sensory play. 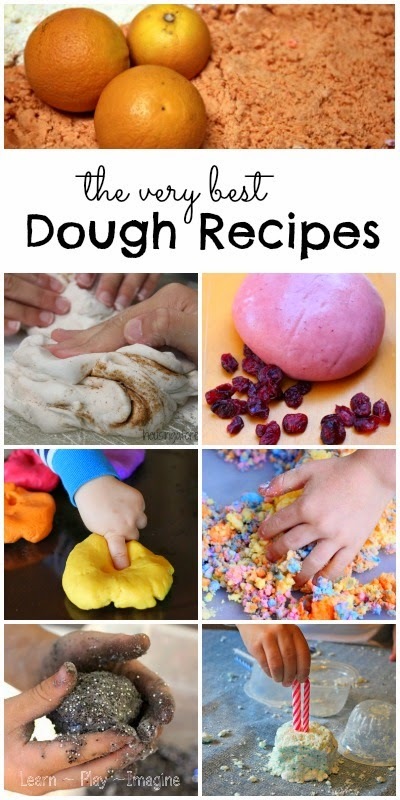 Here are some fabulous ways to make doughs for the youngest members of your family. Cranberry Dough - See how we made this two ingredient dough. To extend the play we added water and turned it into cranberry Oobleck! Edible Nutella Playdough from Still Playing School - Nutella. Edible. Need I say more? Gingerbread Dough - This was another dough that led to hours of imaginary play. My boys enjoyed creating a gingerbread town and decorating it with goodies. Peanut Butter Playdough from The Artful Parent - This has been on my to do list forever. One of these days I'll give it a try. We always have all the necessary ingredients on hand, so I don't know what I'm waiting for! Pumpkin Spice Marshmallow Dough from Housing a Forest - These photos make me swoon. I want to make marshmallow dough, but I'm afraid mine won't be as gorgeous as this. Lemon Meringue Pie Dough - It probably goes without saying, but please use food coloring instead of liquid watercolor paint and whipped cream instead of shaving cream to keep this recipe edible and safe for little ones who are prone to taste testing. Apple Pie Dough - This simple dough recipe kept my older boys entertained for hours. It is the most requested dough in our house. We set up pretend bakeries all the time, and my kids get lost in their imaginations and creations. Edible Gluten Free Playdough from Fun at Home with Kids - Another fabulous dough recipe for those with a gluten intolerance, I love it! Playdough - Oh so much could be said about playdough, and really, playdough could have an entire post of its own. Playdough boosts fine motor skills, sparks imaginary play, sets the stage for learning through play, and it is so simple to make. Our favorite playdough recipe lasts for months and is easy to pull out at a moment's notice for easy play. How to Make Perfect Playdough - Seriously. This is the best playdough recipe ever, and I discovered a fool proof method to make it just right every single time. Shiny Playdough from Kids Activities Blog - You'll never believe what makes this playdough so shiny. Birdseed Playdough from Twodaloo - What a perfect, textured playdough recipe for spring. 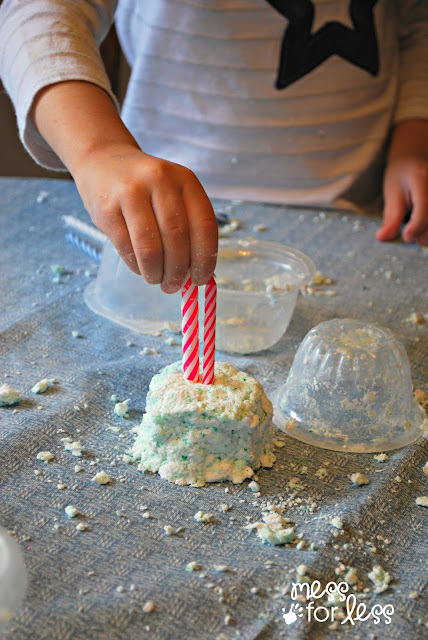 Confetti Birthday Playdough from Play Create Explore - Celebrate your child's birthday with this playdough recipe bursting with sparkles and color. Christmas Playdough Recipes - Playdough in the colors and scents of Christmas. Now all we need are some good Christmas tunes, and the mood is set. Tie Dye Playdough from Blog Me Mom - This might be the most original idea I have ever seen for coloring playdough. Chocolate Playdough - Who doesn't love chocolate? This recipe is made from real Hersey kisses, and it smells incredible! It doesn't taste great, so there isn't any concern about eating it all instead of playing. Super Soft Rainbow Playdough from Housing a Forest - Because playdough should be soft. And rainbow. And full of glitter. Love. Cornstarch and Glue Play Dough from Inspiration Laboratories - This is a completely different recipe for playdough than anything I have ever tried, and it's definitely on my list to test. Lavender Playdough from Nurturestore - Lavender is one of my very favorite scents and the best way to calm children through sensory play. Salt Free Skin Therapy Playdough from No Twiddle Twaddle - Do you love playdough but hate the way it dries out your skin? Moisturize skin while enjoying sensory and fine motor play. Genius. Stretchy Night Sky Playdough from Twodaloo - I can't wait to try the special ingredient she added to make this playdough super stretchy. I'm very intrigued! Candy Corn Playdough - I'm going to be honest. I can't stand candy corn. It is too sweet and disgusting. Despite that fact, candy corns make me think of Halloween and really get me into the spirit of fall. While I don't eat them, they sure are fun to play with. Coffee Bean Playdough from My Nearest and Dearest - Mm coffee. I need more. I might make a batch of this and keep it all to myself. Outerspace Playdough from I Can Teach My Child - I love what she used as planets and for added fine motor fun. Color Surprise Rainbow Playdough - Dazzle your kids with what looks like boring white playdough but then bursts with color as it is played with! Rainbow Glitter Salt Dough from The Imagination Tree - This recipe is just too gorgeous not to include. Salt dough can be used to create ornaments and keepsakes. Fall Playdough Recipe - Cinnamon, nutmeg, clove, apples, pumpkin pie...Is it fall yet? Summer is actually my favorite season, but the scents of fall make it easier to say goodbye to my favorite time of year. Sparkly Lime Jello Playdough from Plain Vanilla Mom - She had me at sparkly. I think all playdough should be sparkly. Always. All Natural Glowing Playdough from Fun at Home with Kids - Look how brightly this dough GLOWS! Gold Playdough from Fantastic Fun and Learning - Last Christmas I used gold liquid watercolor paint to try to make super shiny gold playdough, but the watercolors made the dough too runny. 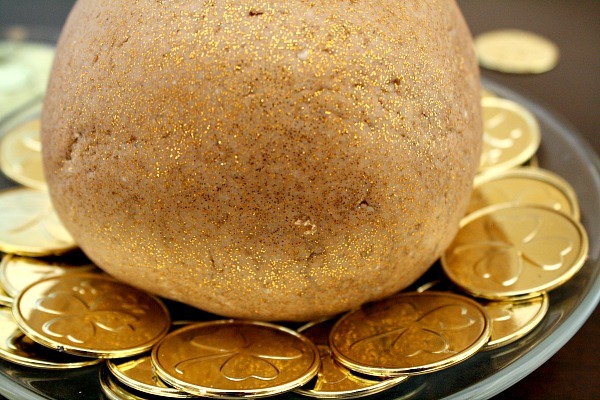 Next year I will be using Fantastic Fun and Learning's simple method to get beautiful gold dough. Foam Dough - Another two ingredient favorite, made popular by Fun at Home with Kids. Kids and adults alike can't keep our hands out of it! Summer Snowball Fight from Play Create Explore - My boys would be all over this! Maybe this summer we will invite some friends over and let the foam dough snow balls fly. Erupting Candy Corn Foam Dough - I think it would be awesome if all doughs ended in erupting fun. Toddler Safe Foam Dough from Powerful Mothering - I love how she took this fun play recipe and made it safe for little ones. Candy Cane Foam Dough from Fun at Home with Kids - Candy canes and foam dough. I love when two of my favorites are combined. Chocolate Foam Dough from Tutus and Tea Parties - See above comment about combining two of my favorite things. Rainbow Foam Dough from Fun at Home with Kids - You already know how I feel about rainbows. Swoon. 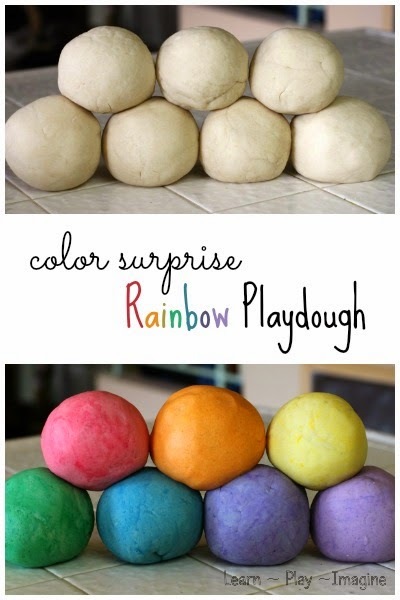 Sensory Dough - As I mentioned before, there are countless ways to make dough for sensory play. I have so many favorites, and these are the most unique and inventive. Mud Dough from Sow Sprout Play - I love what she added to real dirt to make it super smooth and soft. Ice Cream Dough from Play Create Explore - A dough recipe that looks just like ice cream? So cool! Lotion Dough from Mess for Less - Lotion dough sounds soft and smooth and irresistible to touch. 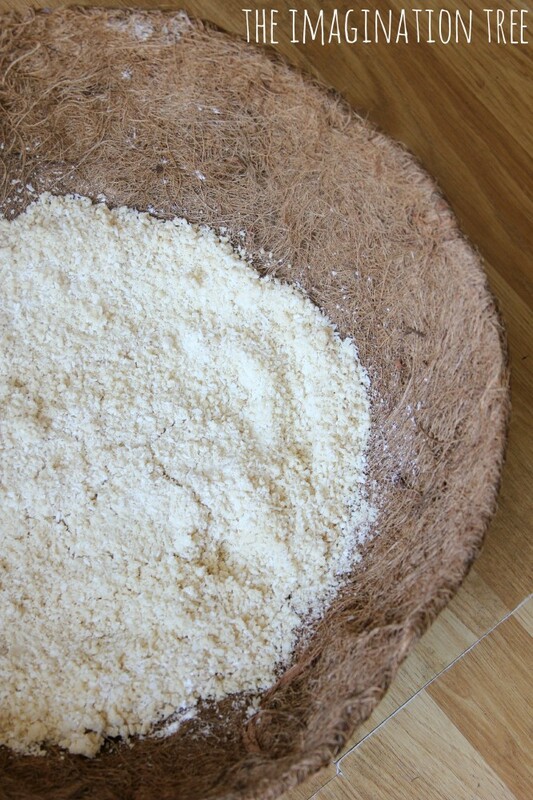 Moon Dough - Moon dough is so simple to make and lasts forever! My boys love the texture and how it molds together. Pumpkin Dough from Housing a Forest - Making dough in a pumpkin? Yes please! Calming Chamomile Melting Dough from Sow Sprout Play - A perfect dough recipe to sooth sick kids and calm little ones before bedtime. Slime Dough from Fun at Home with Kids - Ooh a combination of playdough and slime, all rolled into one! Soap Dough from Mess for Less - Have you ever done the ivory soap explosion? Here is a great play recipe to use up the leftover soap. Magic Foaming Dough from Fun at Home with Kids - Remember what I said about erupting doughs? Fun at Home with Kids created a way to make super foaming dough. No wonder she and I are good friends. Bubble Dough and Even Better Bubble Dough from Creative Playhouse - A dough recipe that acts like bubble gum without the sticky mess? How fun is this? Fossil Dough from Nuttin' but Preschool - This would be perfect for any dinosaur lover. Baking Soda Dough - One of the most basic dough recipes ever. It's so inexpensive and easy, why not make a batch today? For more dough recipes follow me on Pinterest.